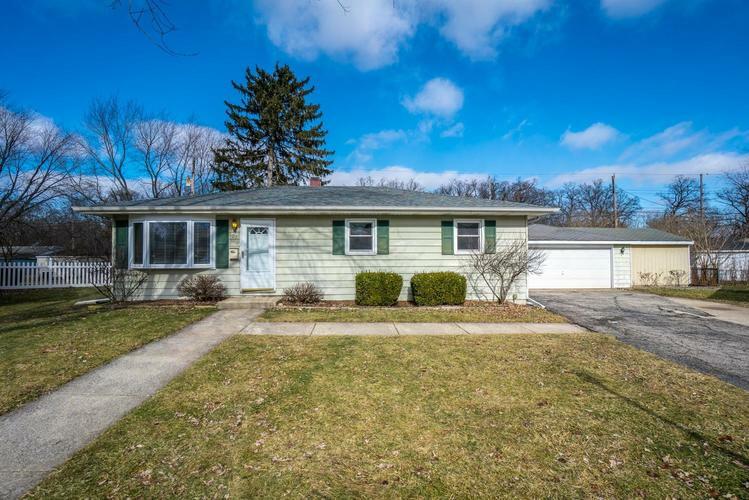 You are going to love this 3 bedroom ranch that is tucked perfectly in the back of a culdesac. The open concept kitchen has been tastefully updated w/ beautiful white cabinetry, stainless appliances & nice laminate hardwood flooring. The same beautiful flooring runs into the living room & down the hall. The main bathroom has been updated & has an oversized vanity! The the entire home has a fresh coat of paint just for you! The laundry room comes equipped w/ a washer & dryer. The backyard is fenced & has a large patio area. The garage has a huge addition to it, which could be used for a workshop, shed space, or room for a golf cart or motorcycle. The roof on the home is brand new. The home is very close to a park, the middle school & the elementary school. Not far from the lake front and town. Hobart is a great location for commuters. Joan Martin School. Taxes are only $1,205 a year. This home is a must see!